Kong (Côte d'Ivoire) (AFP) - "Kong. Visit the mosque," suggests a battered road sign outside a dusty little town in northern Ivory Coast which is getting a makeover thanks to its best-known son. Unusually for a town of its diminutive size, Kong has two historic mosques, both in the clay desert fashion known as the Sudanese style, with a brand-new high school, tarred highways, and a multitude of construction sites. Work in progress ranges from a general hospital, public housing projects and a market place, to a new bridge. A beneficiary of state funds, Kong lies in the heartland of the clan of President Alassane Ouattara, who follows in the footsteps of many African leaders in looking to his origins. An isolated settlement of 7,000 inhabitants during a 1998 census, Kong was promoted into a prefecture -- a regional administrative centre -- in 2012, months after Ouattara came to power in Abidjan following a bloody post-electoral showdown with his predecessor Laurent Gbagbo. The change led to the establishment of offices for state administrative services and thus the arrival of civil servants. The latest census in 2014 put the population at 29,000 inhabitants and municipal employees say Kong is growing still. Getting there used to mean bumpy tracks, but the town will soon be linked by asphalt roads to the rest of the country. The preferential treatment has not gone unnoticed. "Is Kong a priority compared with larger towns lacking in infrastructure?" asks an opposition member of parliament, Patrice Kouassi. "I have nothing against development in the north, but it's a question of priorities. We have towns of similar size or towns with 50,000 inhabitants, and they don't have the infrastructure of Kong." Kong is looking to recover its past glory. The town was once the capital of a flourishing empire founded in the 18th century by Sekou Ouattara, a trader and warrior, ancestor to Alassane Ouattara. "A natural outlet for the riches of the Sahara and the region between the Bandama and Comoe rivers," the town maintained close ties with Timbuktu and Djenne, said Georges Niamkey Kodjo, author of "Le Royaume de Kong" ("The Kingdom of Kong"). The empire stretched over hundreds of square kilometres (square miles) from the north of Ivory Coast to the south of Mali and the west of Burkina Faso. Though nothing remains of it but a section of wall, Kong was once home to an Islamic university, while the two mosques attest to its religious status. A terrible fate befell the city towards the end of the 19th century. Kong's elders rejected an alliance with Samory Toure, a warrior-preacher who took up Islam, battling animists and French colonial forces to establish an empire of his own. Toure's army massacred the citizens of Kong for failing to cooperate and burned their grand mosque to the ground, implementing the scorched-earth tactics that marked his last years before being captured by the French in 1898. 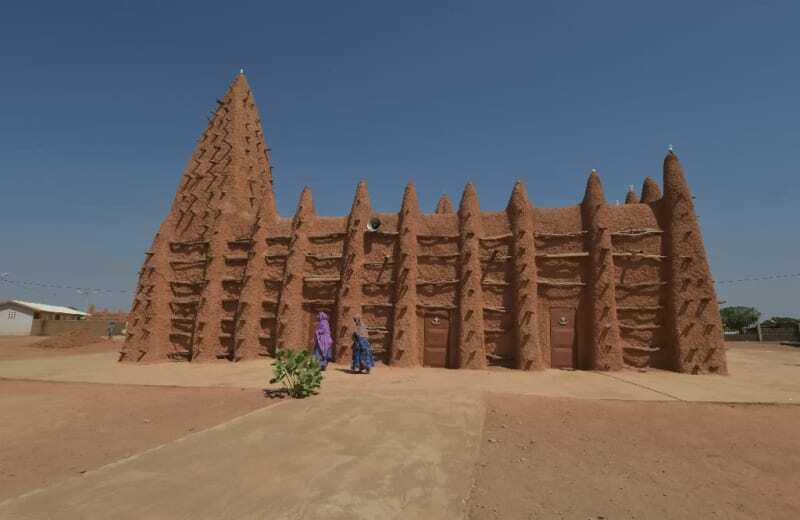 The warrior ruler died in exile in Gabon two years later, the mosque in Kong was eventually rebuilt to exactly the same design, but the spread of French colonial power into Ivory Coast ignored a town of no use as a railhead. Kong was forgotten by the country's rulers in the south. By the time Alassane Ouattara's political rival, Laurent Gbagbo, became head of state in 2000 and remained doggedly clinging to power over a divided nation a decade later, Kong had been completely abandoned by the national authorities. "There was a prophecy that said that another Ouattara would come and restore the glory of Kong. That is happening with Alassane," said Fakari Ouattara, village chief, a cousin of the head of state and a descendant of trader and king Sekou Ouattara. The chief would gladly see Ouattara in power for a third term "if that is his choice", but such a prospect is deeply controversial in Ivory Coast, all the more because Gbagbo's refusal to accept defeat at the polls in 2010 led to clashes that claimed 3,000 lives. The portrait of another Ouattara hangs over the reception at the one decent hotel. Birahima Tene Ouattara is known as "Photocopy" because he looks so much like his brother, the president. He is minister of presidential affairs and has a hand in intelligence and security matters. As president of the regional council, he also looks after Kong's interests. Kong could become a crossroads for business, trade, and even a tourist centre, not just on account of the mosques but also its proximity to the Comoe National Park, a UNESCO World Heritage Site. The biosphere reserve is hard to reach, but efforts are afoot to boost access and appeal. "People think that because this is Ouattara's town, you have only to bend over to pick up money. This is false. We've placed bets, but they haven't yet paid off," said Lassina Diomande, owner of Kong's poshest bar, La Detente. Some residents complain that rents and food prices are being pushed up by the higher incomes of the civil servants in town. "That's perhaps true," said Fakari Ouattara, who was elected mayor by 100 percent of voters within city limits. "But the increase in business is going to benefit everyone." Paradoxically, the town's main benefactor rarely sets foot there. Nobody remembers a presidential visit in the past two years. But Ouattara is still revered in his ancestral town as the "King of Kong".